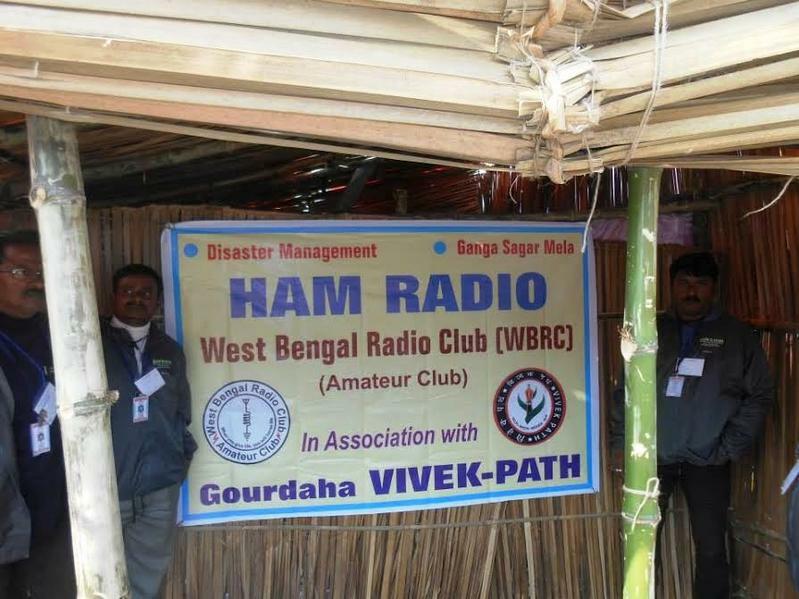 Radio Amateurs members of West Bengal Radio Club will be active from Sagar Island (IOTA AS-153) 9 - 16 January 2015 as 8T5MQT. They will operate on frequency 14260 kHz. Sagar Island is an Island that is found within the Republic of India. It is an Island situated in the Ganges delta which lies on the continental shelf of Bay of Bengal. It is also about 100 km to the south of Kolkata. It is covers a large area of 224.3 square kilometres with north and east latitudes of 21°36’ to 21°56’ and 88°2’ to 88° 11’ respectively. It is made up of about 43 villages and has a population of more than 160,000. Among the villages, the largest is called “Gangasagar”. As a matter of fact, Sagar Island does not have mangrove forests, tiger habitation as well as river tributaries which are associated with the Sunderban Delta though it is controlled by it. It was told that Kardam Muni who is seen as a holy man made a vow with Vishnu saying that he will pass through ups and downs associated with marriage but on the agreement that Vishnu will become his son through the process of reincarnation. However, a son was born and a name was given to him as Kapil Muni. This son was believed to be Vishnu reincarnate as he turns out to be a saint with the passage of time. In confirmation of the story, Kapil Muni ashram is situated on Sagar Island. As time goes on, King Sagar lost his sacrificial horse and it is discovered it was stolen by Indra. However, the king ordered about 60,000 sons of his to find the horse and unfortunately, the horse was found close to Kapil Muni ashram. Kapil Muni ashram was confirmed the thief but in his fury, Kapil Muni burned all the sons of King Sagar to ashes and sent their souls to hell. After sometime, Kapil Muni had pity on the sons of King Sagar and decided to restore them back to their father but this can only be done if Parvati who will appear in the form of river goddess comes on earth to do the burial rites which is to mix the ashes of the sons of the King with holy water which is only possible through a deep meditation. Subsequently, king Bhagiratha compelled Shiva to command Ganga to come down from heaven to free the sons of king Sagar. Ganga did this and the 60,000 sons of the king were freed and the ascended to heaven while river Ganges remained on earth. However, it was told that the date on which Ganga descended was January 14th and this date is the same date with Makar Sankranti. 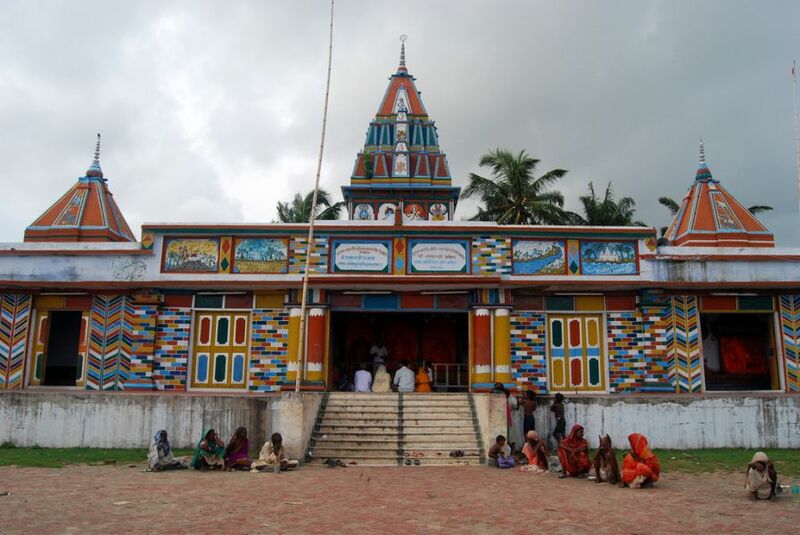 Sagar Island holds Gangasagar pilgrimage annually at the southern tip. This is a place where it is believed that Ganges entered the Bay of Bengal. However, Gangasagar is also referred to as the confluence and very close to this confluence is Kapil Muni’s temple. As a matter of fact, it is noted that Gangasagar fair and pilgrimage controls very large congregation that makes it the second largest annual congregation in the history of mankind following the KumbhaMela triennial ritual bathing. It may interest you to know that Gangasagar which is also called Sagadwip is a place where Hindus gathered for their pilgrimage. However, on every 14th of January every year, hundreds of thousands of Hindus gather here to dip themselves in the confluence of river Ganges and Bay of Bengal. This dipping of one’s body in water is known as holy dip. After the holy dip, prayers are offered in the Kapil Munil Temple. As a matter of fact, it is recorded that about 300,000 persons embarked on this holy dip in the year, 2007. It was in this very occasion of MakarSankranti that Hooghly met the Bay of Bengal. Year after year, pilgrims to Gangasagar increase. 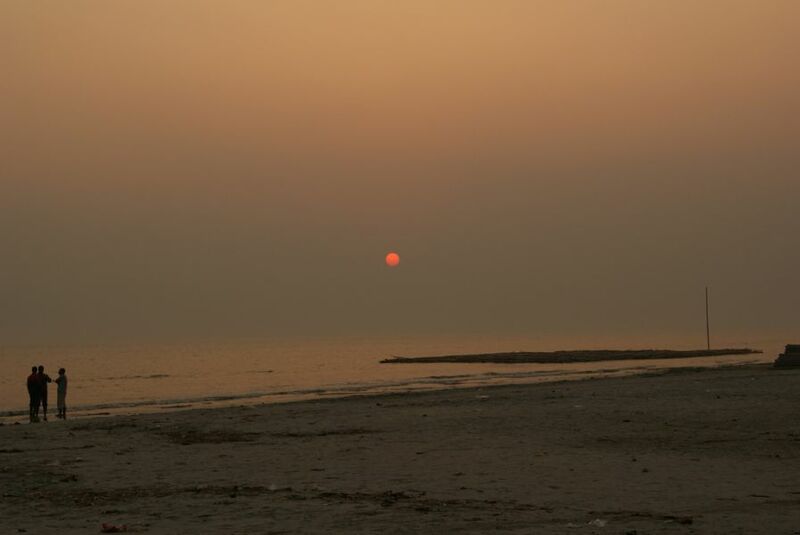 For instance, in 32008, over 500,000 people were recorded that came to Sagar Island and on the remaining part of the year, over 500,000 also come to Sagar Island. This is to say that Sagar Island is a good tourist centre. Vehicles takes you from Kolkata which is the Diamond Harbour Road all through a distance of about 90 km to Harwood point close to Kakdip and then Ferry takes over and runs to Kachuberia which is at the north end of the island. At the ferry stop, there is a Parking area maintained by PanchvatSamity. However, the ferry covers a distance of about 3.5 km across the Ganges River which locally is called either Muriganga or Hooghly River and gets to Kachuberia. Apart from Ferry, boats can also take you from Harwood point to Kachuberia. At this point, private cars and transport buses can move you to Sagardwip which is about 32km away. However, the Kapil Muni temple is just a close distance of 200 metres from the pilgrimage parking area and about 700 metres from Gangasagar River. From Kolkata, train moves on the Sealdah South route and pass through Kakdwip to Namkhana. When it gets to Bok-Khali, there is a ferry there that takes you to Sagar Island through Muraganga distributary which is also called the Channel Creek. The west Bengal government in which Sagar Island belongs is making plans to link Sagar Island with the mainland so as to make movement easier. If this is done, the use of ferry may be abolished. This project has been estimated to cost over Rs 6,000 million for a bridge that will be about 3.3 km long. Similarly, the government of West Bengal is making plans also to construct a deep water port in Sagar Island so as to permit shipment. This is another way through which the government is hoping to generate revenue through export charges. As a result, Indian naval force is highly interested in this arrangement as this will give them accessibility.